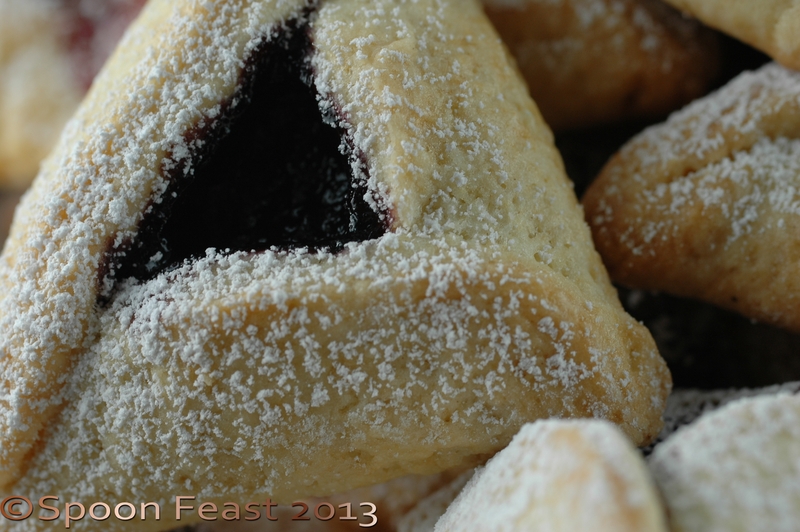 Hamantashen are lovely cookies that can be a bit of a challenge to get the hang of making. 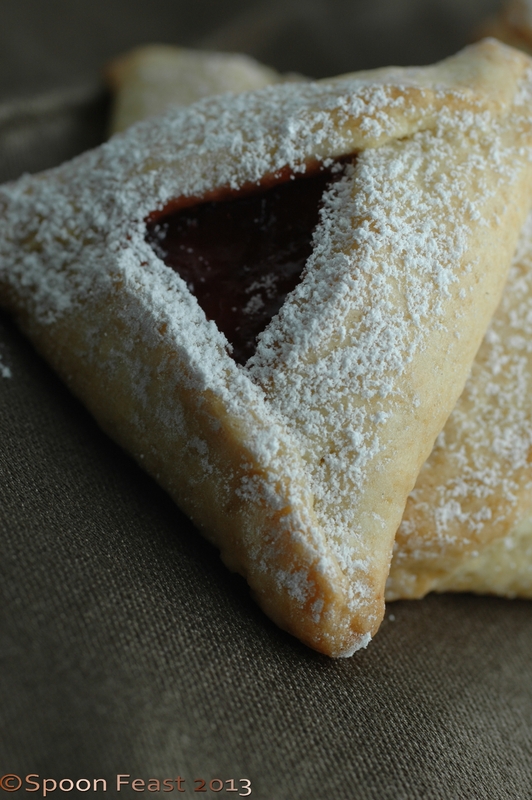 These tasty morsels are made for the Jewish celebration of Purim. 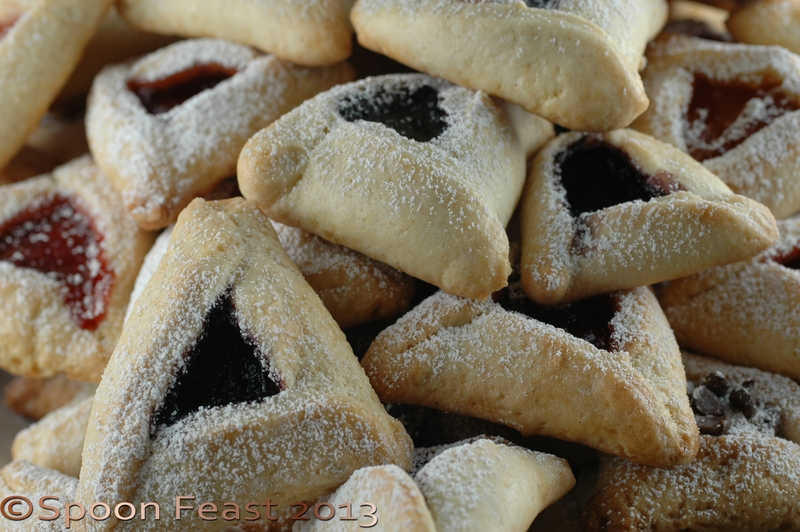 Since I’m not Jewish, I’ll not attempt to tell you the story, I’ll show how to make the cookies instead. 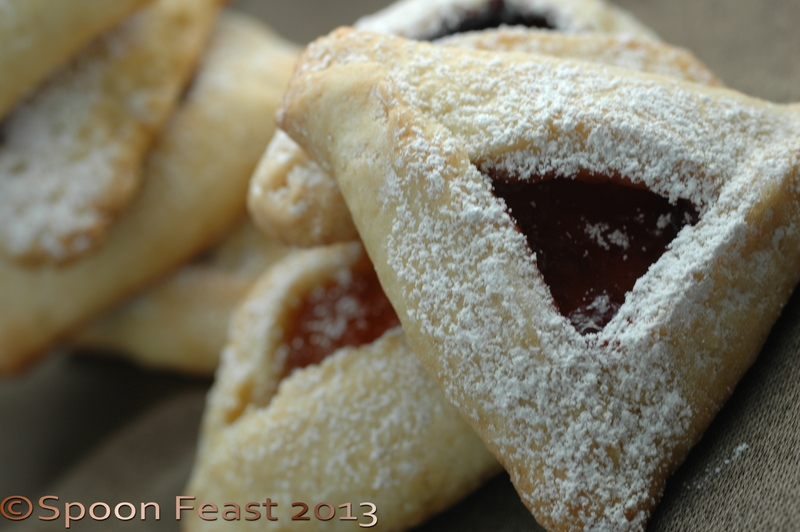 I have several Jewish friends so making these was fun and a nice surprise to give away. Some basic notes, the cookies are cut out of circles that are folded into triangles to resemble hats. Who wore the hats, I’m not sure but they are part of the celebration. Notice the direction say “folded” not pinched! 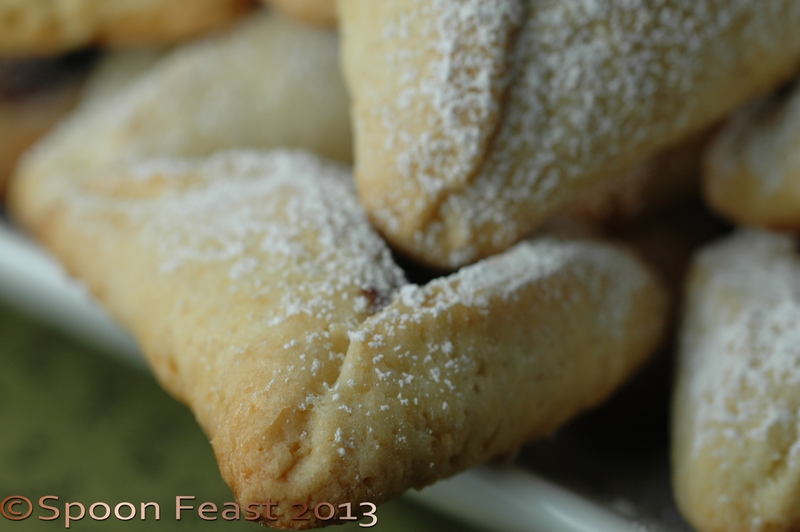 For some odd reason if you pinch them, they open while baking; folded, they turn out perfect. Mix the flour, baking powder and salt together in a bowl. Set aside. In the bowl of a mixer, combine the soft butter and sugar with a paddle until incorporated, add the eggs, one at a time, mixing until the mixture is smooth, add the vanilla. Add the flour mixture a third at a time to the butter, sugar and egg mixture, process just until the mixture is combined. Don’t mix it a long time as gluten will develop resulting in a tough cookie rather than a tender one. 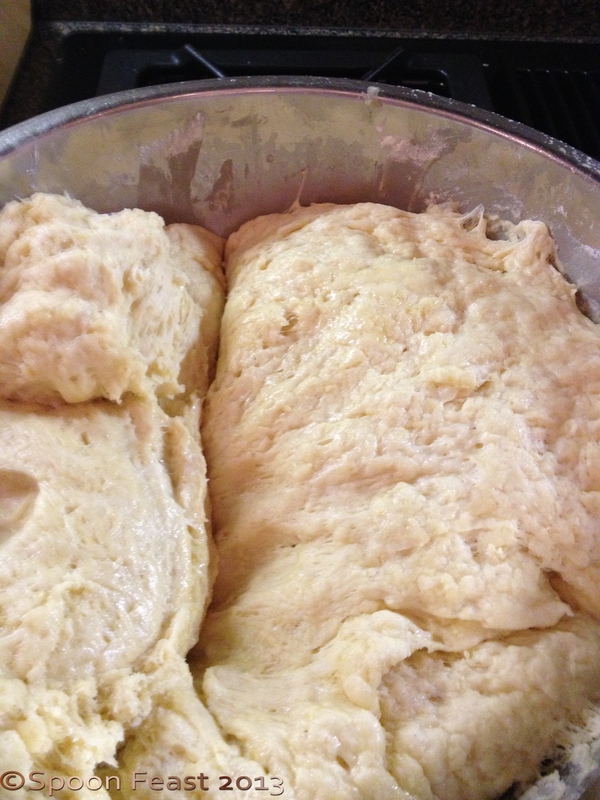 Divide the dough in half and roll it out on a lightly floured surface. 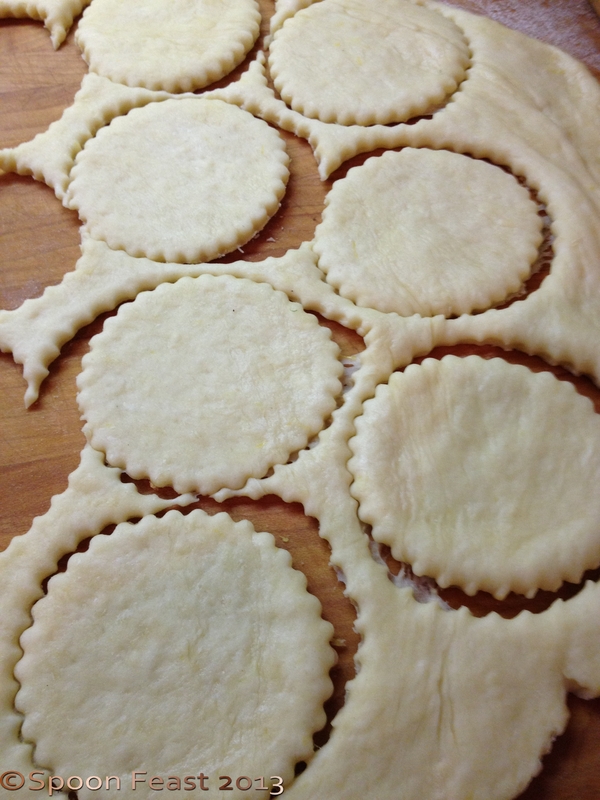 Cut 3-4 inch circle, brush with egg wash, add your filling and fold the circles into triangles. 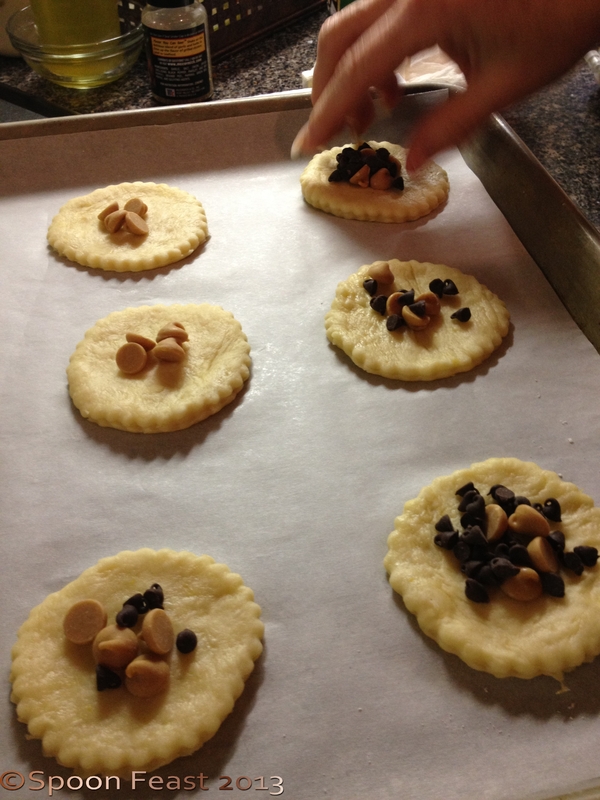 Lay the disks on a parchment lined baking sheet and add the filling of your choice: Any fruit jam, peanut butter, chocolate chips, poppy filling, prune filling, raisin filling etc. Egg wash the edges, Fold the circles into a triangle; bake in a 400 F degree oven for 15-20 minutes, until golden brown. It is important to note do not pinch the corners, FOLD them! Egg wash the outsides of the triangles and bake for 15-20 minutes, until the edges are golden brown. 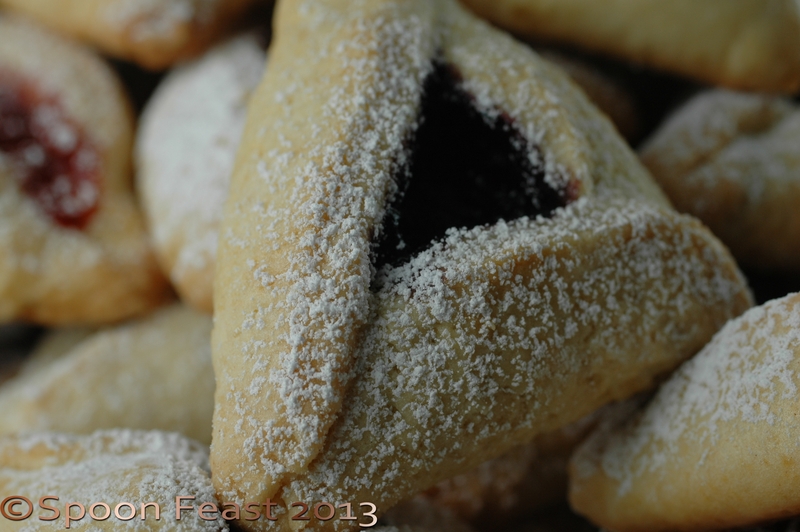 This entry was posted in Baking, Recipes and tagged Baking, Hammentashen, Jam shortbread cookies, jewish cookies, Purim cookies. Bookmark the permalink. I raid the fridge for all kinds of fillings, these are quite tasty too! Oh this would be perfect for all the homemade jam I have in my pantry!